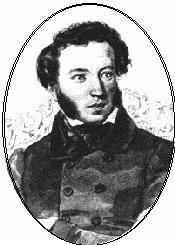 ﻿ Poetry Lovers' Page - Aleksandr Pushkin: "Who'd Fully Stopped You..."
You are here: Home » Russian Poets » Aleksandr Pushkin » "Who'd Fully Stopped You..."
ALEXANDR PUSHKIN: "Who'd Fully Stopped You..."
Who’d fully stopped you, billows, proud? Who’d dressed with chains your movement, mightiest? Who’d changed such a rebellious flood? My ever-boiling soul had lulled? Where are you, thunderstorm of freedom? Wing the slaved waters’ manifold!